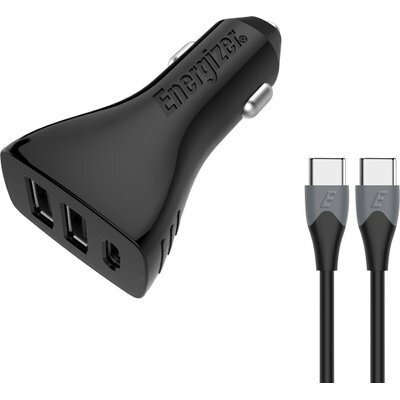 Featuring Power Delivery technology, the Energizer® car charger fuels up your devices up to 70% faster than standard 1Amp chargers. With 3 ports, this universal solution safely recharges your Smartphones and tablets at full speed while on the road. With a sleek black design and premium finish, it beautifully blends into your car’s interior.